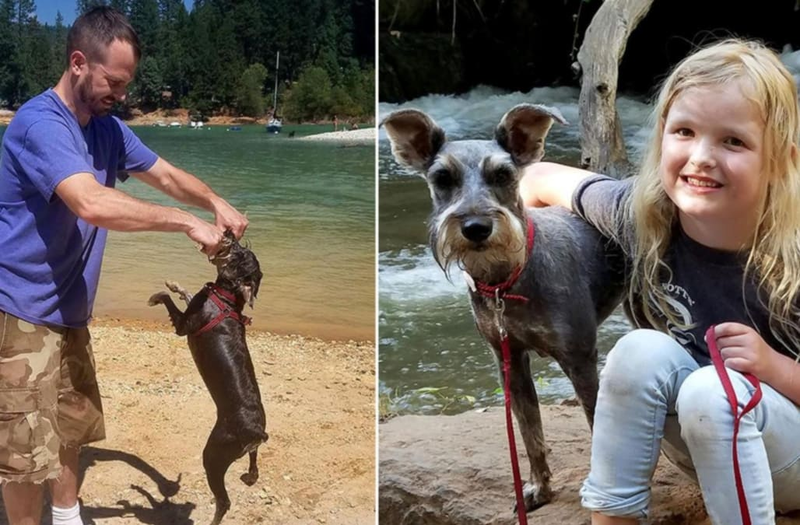 A game of fetch and a dip in the water may seem like regular activities for any pet, but it ended in tragedy for this California family. Hanz, a 2-year-old schnauzer, died after drinking too much water as he chased sticks and balls his owner had thrown into the lake for him to chase. Veterinarians later explained that by swallowing too much water, Hanz came down with hyponatremia, a condition marked by drastically low levels of sodium in the blood. As a result, he suffered fatal brain damage. Walsh explained that she and her family, including her husband and 8-year-old daughter, had taken a trip to the lake with their dog for a nephew’s birthday party. Hanz could be seen retrieving sticks the family threw in the lake for about an hour and a half, in a video licensed by Caters News. “He was very active, very excited, chasing the stick, and we were all having fun,” Walsh said. But at one point, Hanz paused in the water and began shivering. When he got out, Walsh said she realized something might be wrong when he didn’t shake himself off. “Dogs always shake themselves off when they’re wet,” she said. Hanz then uncharacteristically peed on someone’s bag, which Walsh now identified as one of the first symptoms of water intoxication, uncontrollable urination. She said Hanz started to look lethargic, “like he was drunk,” and seemed to be cold. His breath was uneven and his tongue hung out. Once they got into the car, Hanz’s labored breathing stopped altogether, and her husband tried to administer CPR. By the time they got to the veterinarian, 45 minutes after his symptoms began, Hanz was dead. “It was awful," Walsh said. "[My daughter] is very traumatized by all this." She said that they adopted Hanz earlier this summer after their neighbor could no longer take care of the dog. Although this is the first time Walsh’s family had brought Hanz into the water, she said their neighbors had a pond in their backyard the pet would often play in. "If we had known about water intoxication, maybe there would have been something more we could have done to save him,” she said. Water intoxication is more likely to occur in dogs that are smaller, leaner, have less body fat and those that are energetic and love to be around water, according to veterinarians. The condition can also occur in young children. Dog owners should take their pet to the veterinarian as soon as they notice any lethargy, glazed eyes, drooling, seizures, bloating, difficulty breathing or vomiting.